The term “special education” means specially designed instruction to meet the unique needs of a child with a disability. At no cost to parents, special education provides additional services, support, programs, specialized placements or environments to ensure that all students’ educational needs are met. Support and services are provided in the least restrictive environment and the special education curriculum addresses the Texas Essential Knowledge and skills (TEKS) mandated by the state for all students in Texas. An Admission, Review and Dismissal Committee (ARDC) or (ARD) individualizes the specific curriculum objectives, instructional accommodations, mastery level and location of services for each student based on the impact of the student’s disability on his/her ability to progress in the state curriculum. 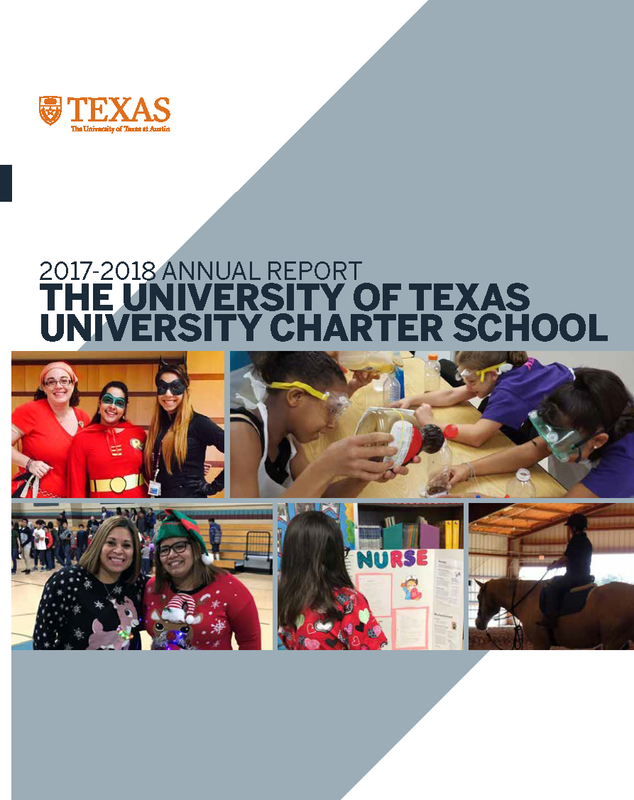 The University of Texas-University Charter School Special Education Department believes all students can achieve; therefore, we are committed to identifying and meeting the diverse needs of each student through individualized educational programming. It is our mission to work cooperatively with families, students, community, colleagues, and other professionals in order to promote each student’s success and well-being as he/she prepares for future endeavors. The University of Texas – University Charter School provides specially designed instructional supports and services for students with disabilities eligible for special education services. Individual Education Plans (IEPs) are developed for each eligible student. A full range of supports are available on every campus. Support and services are provided in the least restrictive environment and to help students with disabilities access the Texas Essential Knowledge and skills (TEKS) mandated by the state for all students in Texas. An Admission, Review and Dismissal Committee (ARDC) or (ARD) individualizes the specific curriculum objectives, instructional accommodations, mastery level and location of services for each student based on the impact of the student’s disability on his/her ability to progress in the state curriculum. Children learn at different rates but some children have significant difficulty in one or more of the following areas: social interaction, play, speech and language, vision, hearing, attention, behavior, or coordinating movements. We’re here to help you access services to meet the unique learning needs of your child. If you are concerned that your child may be learning, playing or interacting differently from others, please call the special education department of your local education agency or ESC Region 13 staff listed below. Each of our special education students has an Individual Education Plan (IEP). The plan specifies the services that will be provided for the student, including the length of services and the venue in which they will be delivered. The IEP clearly states the child’s current levels of academic achievement and functional performance. It states the goals for the coming year and consistently monitors individual progress. These services and guidelines are determined jointly by the ARD committee which consists of school professionals and the parent or guardian. Parents are notified of the time and place for the annual review. A parent is not legally bound to attend the meeting, but we at the University Charter School do everything we can to ensure that they have the opportunity to be present. Notice is given of each evaluation instrument, procedure, test, record, or report the school has used as basis for changes in the IEP. If the parent or guardian needs help in understanding the instruments or procedures, they are welcome to meet with us. They may also seek outside help if they wish. A student with a disability must be invited to attend their IEP meeting whenever postsecondary goals and transition services are considered. Upon reaching the age of majority (age 18 in Texas), the parental rights transfer to the adult student. With the consent of the parent or adult student, a representative of any participating agency that is likely to be responsible for providing or paying for transition services must also be invited to attend the IEP meeting.